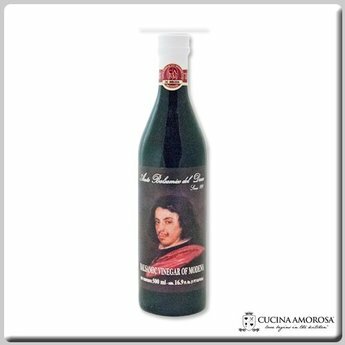 PGI Balsamic Vinegar of Modena – Capsula Bianca (White Cap) Is the Balsamic Vinegar of Modena intended for everyday use. It has an intense, slightly fruity aroma and a strong flavour with just a touch of sweetness. The range is composed of variety of formats, with bottles suitable for use on the table or for restaurants. Indicated primarily for the preparation of cooked foods, sauces and marinades for meat and fish.